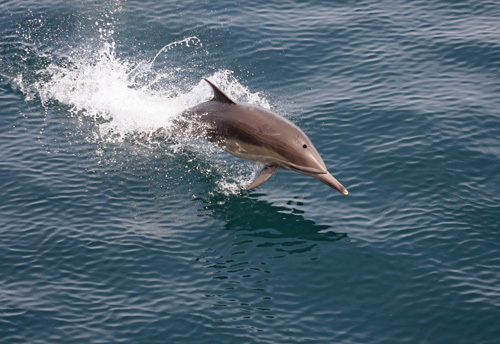 Come aboard for an unforgettable experience and learn from trained naturalists called “Whalers” about marine mammals, San Diego Bay and Hornblower’s local initiatives created to reduce our environmental impact. 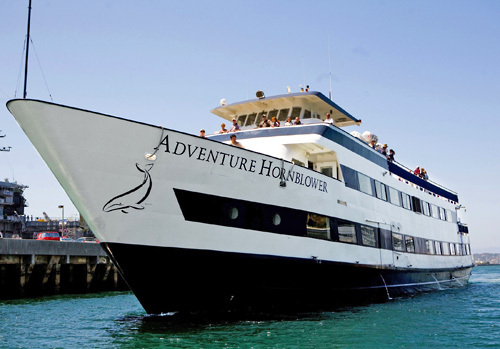 Hornblower whale watching ships offer comfortable seating indoors and outdoors, and refreshments. 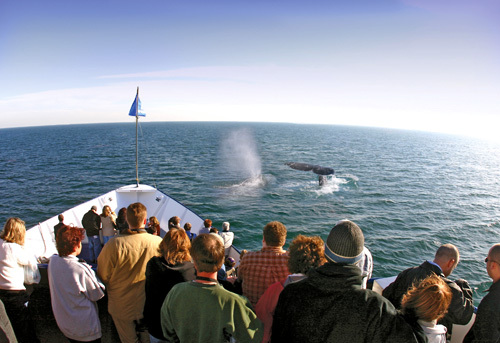 Summer whale watching tours available into September. 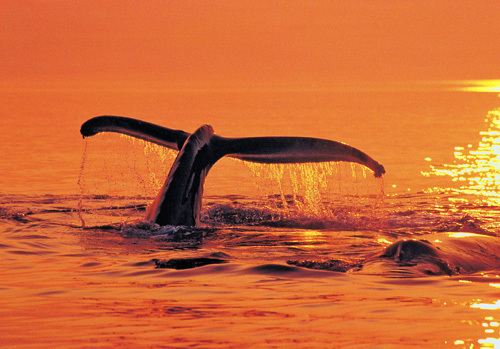 View the famous Blue Whales, sea lions and dolphins. Sails rain or shine with U.S. Coast Guard approval. Have been operating for over 30 years. Boarding time is 30-minutes prior to departure. Tour duration: approx. 3.5 hrs. 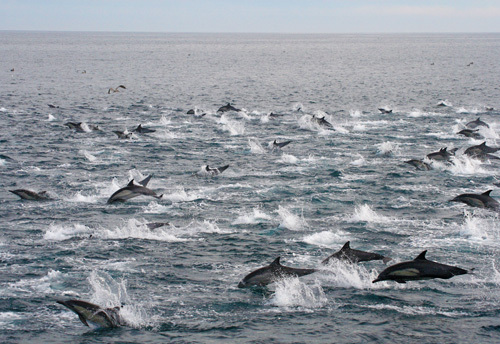 If you love whales, dolphins, sea lions, and sea birds, hop on board for a breathtaking experience on the open ocean. 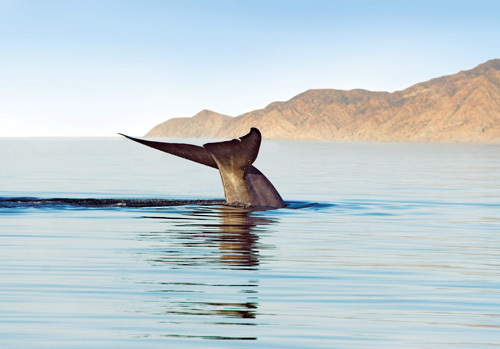 We’ll speed out to sea on one of our large, comfortable yachts and pass barking sea lions and pods of leaping dolphins as we search for the legendary blue whales. As we make our 4-hour tour, we’ll be treated to a live narration by our experienced captain and our on-board naturalist (from the San Diego Natural History Museum). You’ll stay cozy and comfortable with both indoor and outdoor seating and a snack bar featuring hot food, a full bar, and souvenirs. 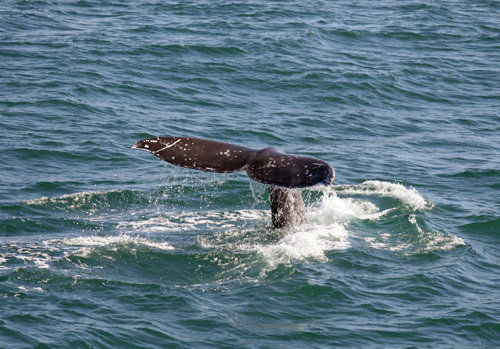 NOTE: The whale watching vessel cruises in the open ocean. Our yacht is the most comfortable yacht in San Diego, due to stabilizers that greatly reduce the yacht's motion. Still, if seasickness is a concern, getting fresh air on the sun deck or taking over-the-counter anti-seasickness medicine prior to your cruise might help. What happens if I do not see whales? Casual attire, such as shorts and t-shirts are appropriate. We recommend bringing along a light jacket or wrap as it may get breezy on board, especially for those cruises that occur out on the open ocean. In San Diego, we have three main locations. Please check your confirmation to determine which is the correct location for your event. We do not validate for parking. Parking fees are typically $10.